Getting website traffic through PDFs is a fun little secret few know of... and you are about to become one of them. Did you know that Google can read non-HTML files such as PDFs, spreadsheets, and presentations? And not just read them, by the way… it can index and rank them in the search engine results. FUN FACT: did you know Google first started indexing PDF files in 2001 and currently has over a Billion of PDF files indexed? How does Google treat PDFs in the search results? As long as any given PDF is textual (contains text), not password protected or encrypted, Google can read it and index it. Q: How are links treated in PDFs? Generally, links in PDF files are treated similarly to links in HTML: they can pass indexing signals, and Google may follow them after crawling the PDF file. Here’s a much more recent confirmation of the same from Google’s Gary Illyes who said in the comments section of a [now-defunct] Google+ post that links within PDF documents do pass PageRank. Sure! They’ll generally rank similarly to other web pages. Q: Is it considered duplicate content if I have content in both HTML and PDF? Whenever possible, Google recommends serving a single copy of your content. If this isn’t possible, make sure you indicate your preferred version by, for example, including the preferred URL in your Sitemap or by specifying the canonical version in the HTML or in the HTTP headers of the PDF resource. Duplicate content penalty does NOT exist. It’s a myth. Duplicate content is more of a problem when content appears in more than one place (URL) on your site. Google isn’t a big fan of that. However, if the same content appears on the Internet in more than one place (URL) – this happens with we syndicate the same content to different websites, Google will look for the one that it thinks is the original source and rank that URL and not the other copies. That’s called ‘omitting duplicate results’, which is FAR from penalizing a site for it. the anchor text of links pointing to the PDF file. To give your PDFs the best possible chance to rank, Google recommends paying attention to both. What is metadata of a (PDF) document? Document properties, also known as metadata, are details about a file that describe or identify it. Document properties include details such as title, author name, subject, and keywords that identify the document’s topic or contents. Here’s a screenshot to give you an idea where to look for document properties in a Word doc – before saving it as a PDF. Heads-up: this screenshot is from Word for Mac 2015. It might look slightly different in your version of Word. Soooo… What Are PDFs Good For? If I said you could drive hordes of website traffic with PDFs, I’d be lying. So I won’t. by uploading PDFs to document-sharing sites like SlideShare. SlideShare is the only site that has ever sent me any actual web traffic from my PDF uploads. As a matter of fact, SlideShare is my favorite non-conventional way to drive traffic – mostly with slide presentations though, not with PDFs per se. Another realistic way to bring website traffic back to your blog via PDFs is by getting them listed in the search engines. Can a PDF rank highly in Google search engine ranking results? Only recently I started noticing exactly how many of them do rank for the searches I regularly perform; I just never paid attention to them in the past. As you can see, the very first result is a PDF. What ranking signals does Google use to rank PDFs? Content itself (see the video below). Metadata within the file (discussed above). Links to PDF – just like with any piece of content, the more links you build TO your PDF files, the better chance they have to rank. Also, Google uses the anchor text in those links as a signal of what PDF is about. Of course, there’s no reason why you can’t host PDFs on your own blog, build links to them, and get them ranked. Even better that way – bringing SEO traffic to your site vs a third-party platform. Of course, there are times when you might not want your PDF files to rank on Google, like it would be the case with my exclusive traffic generation report I give away to my new email list subscribers – for obvious reasons. To ensure your PDF doesn’t get picked up by Google, add a noindex tag to the page used to serve the file. In my opinion, link building is the most realistic way to use PDFs to your advantage. It works pretty much like syndicating any other type of content, but instead of submitting your content as is, you’ll need to convert it to PDF first. Just copy your article to a Word doc and save it as PDF; that easy. Better yet, convert your blog posts to PDFs with PrintFriendly.com. As you can imagine, there are plenty of free directories to submit your PDFs to. However, just because the directories are plentiful, it doesn’t mean you should go on a PDF dumping spree, i.e. submit the same PDF everywhere. PDF over a Web Page? Under what conditions would Google rank a PDF over a regular HTML web page? It all comes down to how Google works and what it finds more relevant. OR… you could look at it another way: repurposing your content as PDFs is a great way to reach a new audience with a different content format! What Is Content Repurposing? | What Is Recontent? So… PDF traffic generation strategy might actually be worth exploring further, don’t you think? ? Just when I thought I knew it all (kidding), I find more info and great nuggets of info. This is pretty darn good to know. Didn’t realize how much more info you could put on a PDF. Thanks for the most informative article, Anna. Do you recommend this method for any type of article, or more for longer informative articles? I have a fantasy football blog, and provide multiple articles per week. Do you recommend this for someone like myself who is writing shorter articles (under 1000 words)… or is this more for longer pieces of writing? This is a GREAT question, Joe! I think this works for ANY size content… with one caveat: SlideShare only allows live links after the first three pages of the file you upload. So… if your content is short, you’ll need to pad it with some images on the front end to move your text beyond those 3 pages. Makes sense, right? Hope you get great results! I guess it has been a year since you wrote this post. Did you progress with this strategy? Are you getting traffic from this. Seems to be pretty easy to do, specially with repurposed content. It is easy, but hard to find time for a busy blogger like me, Maujhuri. I need to find a way to outsource this; I still believe it’s an incredible strategy. If you want I can help you in that. I have a team and we can test this out for you to see whether it actually is effective. Let me know how you want to proceed with it. Took a look at your site; looks like you provide quite a few marketing services. There are plenty of tasks I’d love to outsource; however, with my busy schedule, it’s hard to even sit down and figure out if I can effectively use you. If you have any to-the-point ideas, feel free to email me. Ana , yes we provide quite a few services. It always helps if we can get an idea of what are the things a client want to delegate, but I’ll get back to you with a probable list. What about starting with this PDF Promotion for Traffic? Hi Ana – please note in your list for pdf sites that megaupload.com has been seized by the FBI under an antipiracy suit. Here in New Zealand we are very familiar with the case because Kim Dotcom and others from Megaupload moved here. Early this year they were arrested here pending developments in the US and extradition back to the US. Details of the full case are as yet unclear, however if convicted this will have implications for many other such sites. Thanks so much for letting me know, Murray – would’ve never known about it otherwise. Off my list it goes. Sounds like this could be a another useful link building strategy Ana. As well as submitting to article directories, it should help by submitting content to PDF directories as these links will be coming from different domains. It’s not much different from submitting to article directories, Thomas, and yes, the benefit of getting diverse links is great. Actually, it’s pretty much copy, paste, save as PDF, and upload, Noel. Firstly thank you for the FREE report and also your email. I have just been reading through the comments after your post and noticed one person who mentioned Joomla. I currently use Joomla for building our websites and have noticed even without the plugin various sites have ranked well when the articles have been converted to PDF. I am going to do a PDF trial over the coming months on my new website and will gauge the stats. I would like to thank you for taking your time to write your blog, very informative. You are so very welcome, Wayne, and thanks for taking your time to let me know of your future strategies – sounds like something my other readers might think about doing through their blogs. First time visiting your blog but won’t be the last time. Just added you to my favs. Great post! We can all use more traffic and PDF’s are something I never would have thought about for doing so. You are very welcome, Anthony, and thanks for coming by. I’m actually doing very well using PDF’s. I currently use scribd, and docstoc, so I just want to thank you for this list because I will be adding some of them to my PDF Submit list. Thanks for giving us this feedback, Kenny. Glad I got you thinking, Jay, and look forward to seeing you around. It is an interesting idea. I have seen pdf’s indexed in google so this makes since that they have a roll in SEO. thanks for the info Ana. I never realized that PDF’s can play a role too in link building until I read this post. I have saved those PDF Directories. Thank you, Ana! Good point, Vijay; I need to do some research into ebook sites. Very kind of you to do the research for me, Vijay! I totally agree with some of the tips you noted concerning PDF documents and Google Traffic ranking. In my SEO life I have first time read about PDF that have relation with traffic. Google has also updated its structure in Oct 2011 and many sites have penalized. These days duplicate contents are not endured by the Google. Thanks for a list of directories. You are very welcome, Maja. You have some great info around these parts.  I never heard of traffic gen from the use of PDF’s. This was absolutely great content to learn. Wow! In fact, so much of the content here is stuff that I really need to step my game up. Thanks for sharing Ana! You are so very welcome, Jk, and happy to see you in my neck of the woods. Hi Ana, I read Your newsletter regulary. Thanks. I have one question to this subject: The links in the PDF’s are published as nofollow links. If it does not generate traffic and it do not give me any linkvalue to my site. Please tell me why it is good for me to use. That’s interesting, Jorgen – according to all my research and as per Matt Cutts, all links in PDF documents are dofollow. As of right now, it’s impossible to nofollow those links. Thanks for the information about pdf traffic. I have tried out pdf techniques about a year ago and have to admin that no significant amount of traffic from there however I do find that the no. of views are greater than ezine articles. So, this is extra traffic exposure though you do need to spend some time to convert to pdf, put the call to action, format the pdf with meta info and submit it. Yes, it is a bit of work, but another source of potential traffic. Thankfully I learned about this method very early on in my blogging journey. So I have been turning all my article to pdf and submitting them to a few top sites like scribed and docstoc. And I have to agree with you, you won’t get lost of traffic from it. But what I like about it is I still get a few hits here and there from PDFs I submitted 2 years ago. Plus, as you mentioned PDFs do actually rank well. So its a win win situation. By the way thanks for the list of PDF sites, i use a few of them but weren’t familiar with the rest. It’s a nice way of building small, ongoing traffic. Thanks Ana, have just started a link building campaign for my existing PDFs to see how I fare with them. I realise that when I have written a powerful post and overed it as a pdf download as well I have effectively duplicated the content on my own blog and will now go and get the URLs for those removed! Open your PDF document and select ALL, and copy and paste into an empty Word document and see if that gives you your original back. You might have to reformat; but maybe not. Good luck! Hello Anna, probably my first comment on your blog. I was searching for PDF directories and I remember the course that I had over a year ago by James Sharamko (I guess). After that I really didn’t bothered to find and submit my PDF eBook on the directories. Hello Ahmad and thanks for commenting. If you already have an ebook, why not submit that? It’s a good length and it is there already. Don’t let it go to waste – repurpose!